So I switched on Hannity last night, hoping for some juicy Schadenfreude. But there was no Schaden for them and so no Freude for me. The narrative was, everything is great, we won, the election results are amazing, things couldn’t be better. I don’t like Hannity but I envy the attitude. On our side, nothing is ever good enough, nothing is cause for joy, every win is yes-butted to death. Republicans obviously lost this time, yet I’m not seeing any collective garment-rending and howling at the moon on their side. Maybe I’m not looking well enough but I’ll see what the next issue of National Review has to say. Being on the side of the perennially dejected bothers me because I’m not naturally predisposed to being all tragic and apocalyptic. It exhausts me. I kind of envy these upbeat folks with their “we lost but there’s a big win in that” approach. Republicans obviously lost this time, yet I’m not seeing any collective garment-rending and howling at the moon on their side. They increased their margin in the Senate. I wouldn’t rend my garments over that either as a Republican. It’s not like they’re trying to get anything done so having a divided chamber doesn’t really change much. Now if for some reason they had lost the Senate as well — LMAO. Nobody was expecting the Senate to switch hands and it didn’t. Did you see McConnell looking worried during any of this? I would ask who he is but I suspect my life would not be improved by this knowledge. He’s the founder of Turning Point USA, a really lame club for conservative teens. We’re feeling the Freude a little ways north of you! 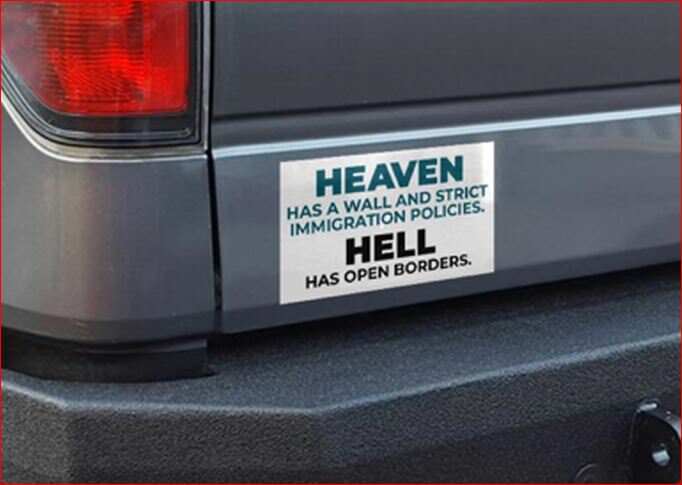 Show your downer progressive colleagues this bumper sticker. It’s cheer them up!